K-9 Komfort No Slip Grip Training Tab. $12.99. Very durable. No extended clean up or drying time like leathers. Great grip. 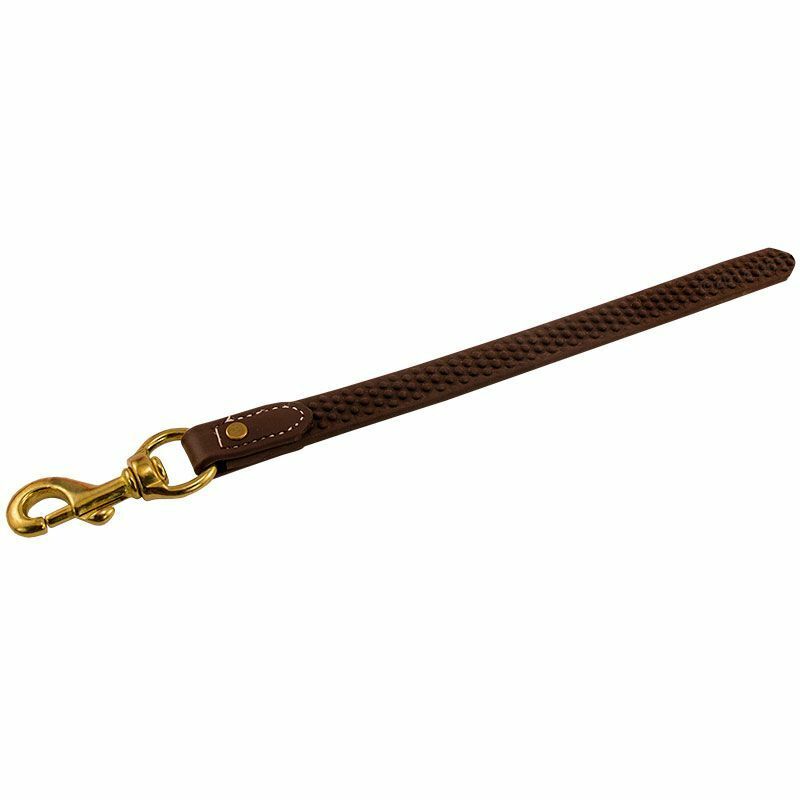 Have used short pieces of rope for years and was difficult to hold dog back. 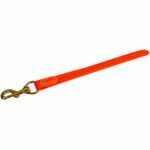 The k9 no slip grip is the right length and very easy to keep in your hand and just an excellent product. I bought two and gave one to my pro trainer friend, and he is using daily with all the young dogs. Perfect and can't beat the price. Great price, and great product. 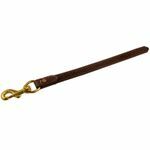 Very useful for training when you need a quick grip to steady your dog at the line but don't want him to drag around a check cord. I love that it doesn't absorb water. This tab works really well for my hound. It is a great addition when we are out in the woods and on the trails as a quick way to connect with her and not have to pull out a long leash. Black Mouth Cur. Family pet. 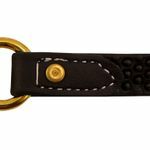 Great design and very handy for use with training collar when dog is indoors or otherwise off leash, but it could be a couple of inches shorter and a little lighter (maybe use lighter hardware). Then it would be perfect. Available in Black, Brown, or Orange. 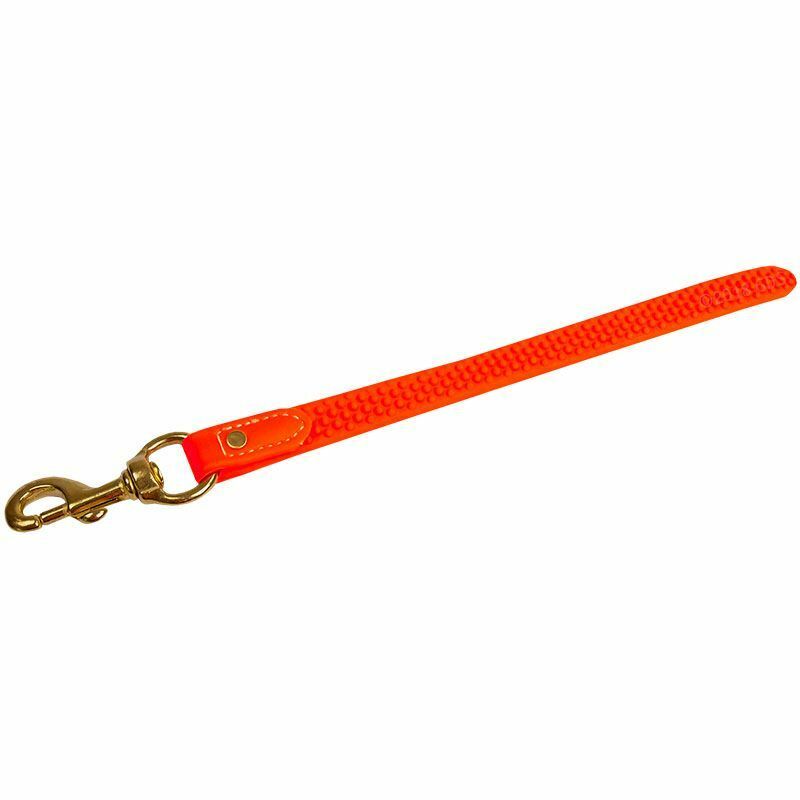 Training tabs allow you to hold your dog in the blind during training when he may still be overly anxious. 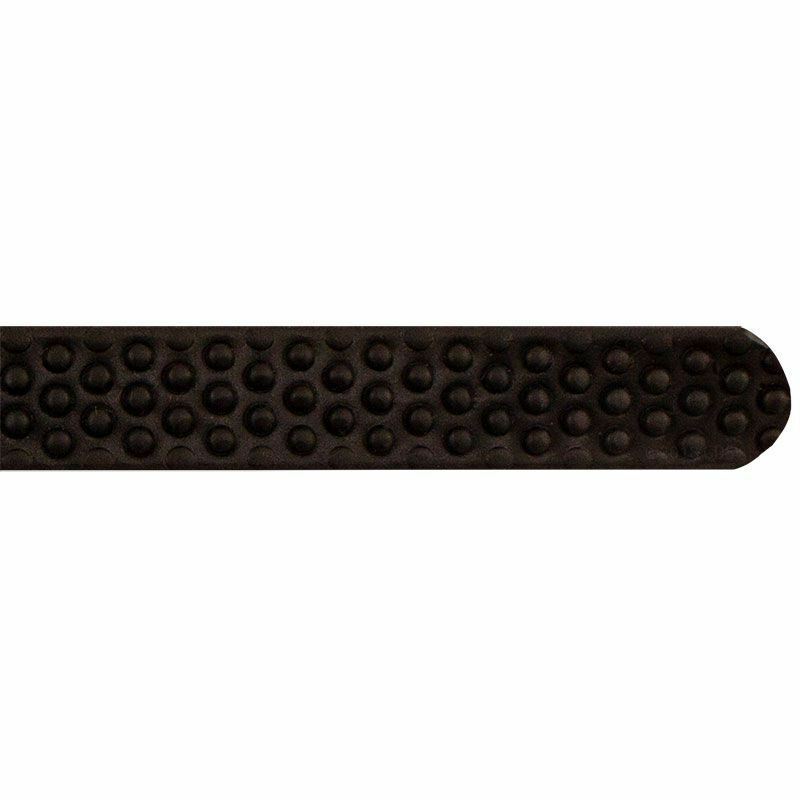 This training tab is made from TufFlex, which is virtually indestructible, and maintenance free. TufFlex cleans up with a damp sponge, resists mildew and bacteria and therefore is odor-resistant. This vinyl-coated webbing also keeps its flexibility in cold weather. This training tab is great for puppy training. It features a specially textured strap that won't slip through your fingers. Approximately 15" long. Rust resistant nickel-plated hardware with swivel snap. Welded hardware. Average 8 lock stitches per inch. 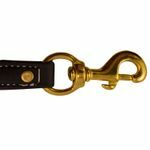 All K-9 Komfort products are proudly made in the USA.